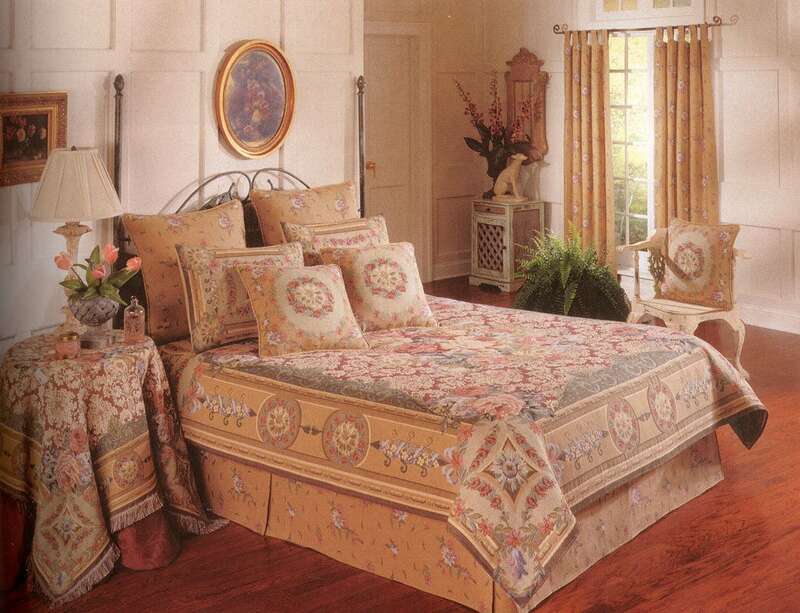 This tapestry bedspread is a heirloom piece, jacquard woven in Belgium. Only 1 weaving mill worldwide makes this quality of tapestry bedspreads. The design is Chambord referring to the french Chambord castle, which is one of the most recognisable châteaux in the world because of its very distinctive French Renaissance architecture which blends traditional French medieval forms with classical Renaissance structures. The building, which was never completed, was constructed by King Francis I of France. Feel like royalty in your home by decorating your bed with this unique tapestry bedspread !